Red Carpet is so last season! 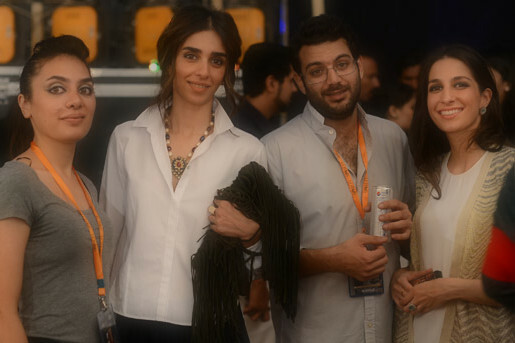 Remember we did the Red Carpet Rockstars for PSFW2014?? Fashion weeks are full of good, bad, gorgeous and there is never a dull moment. 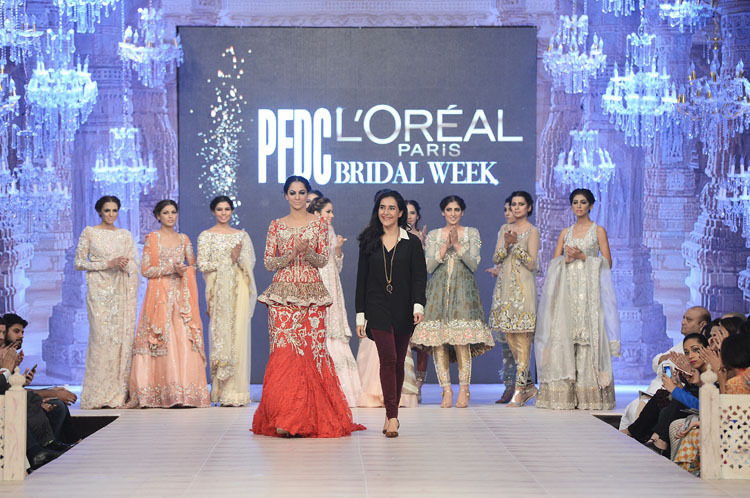 Today we are going to focus on PLBW 2014 Rockstars, people who turned heads for one reason or another. Some people you know and some you may not but they’re all personalities that bring the show together and add spice to the usual. While dresses and suits are abundant on the Red Carpet, one man has stood out for us for his love of umm what he loves. We are talking about none other than ‘Rehan Bashir’ 1/3 of The House of Kamiar Rokni , Rehan is a joy to look at. 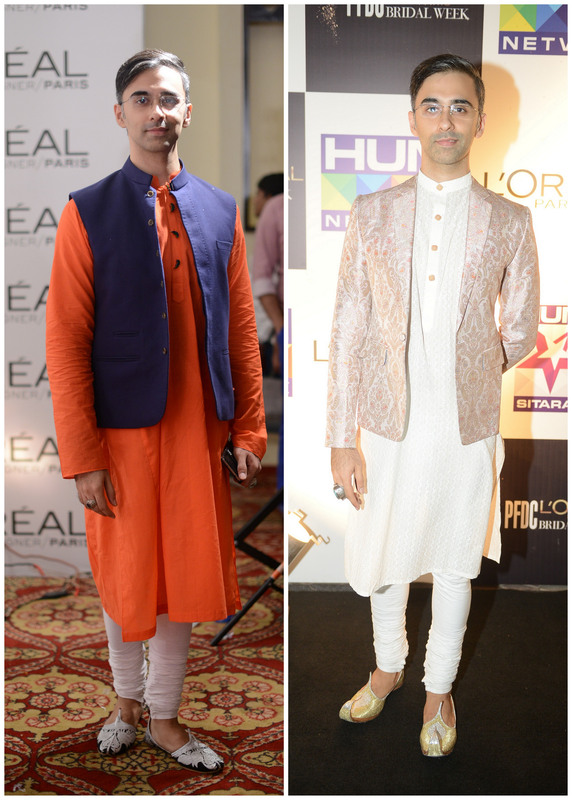 Clearly the one to appreciated craft and art, he embraces fine desi dressing like no one else. Here’s to our Raja of the Red Carpet…. 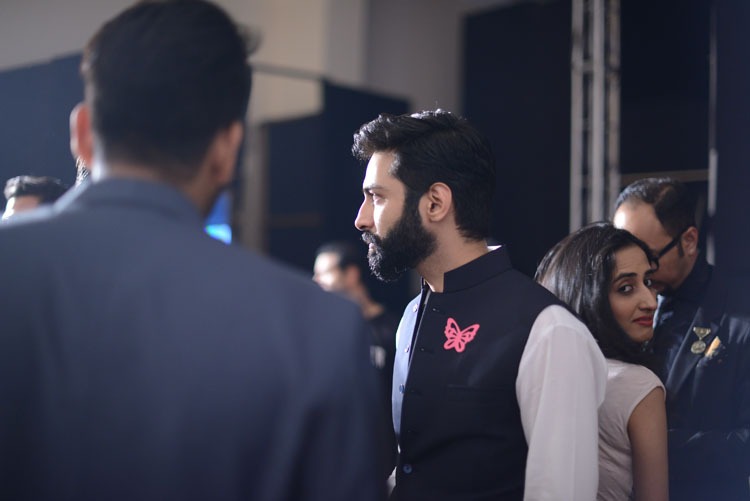 Because he brought magic to the ramp and because his collection from ideation to realization was the beautiful story we all desperately needed to hear this PLBW2014 but most importantly because he stood out not only for his theatrics but also his aesthetic. Because he is the fashion week in so many ways more than just the clothes. 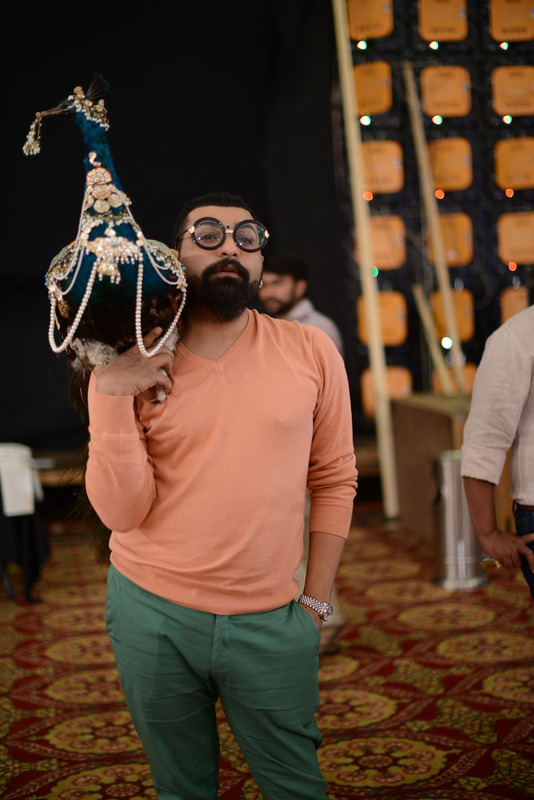 He is a council member, a choreographer, a DJ, the show director, the disciplinarian and the mentor and he always seems to be enjoying what he does. This little firecracker packs more energy than most. 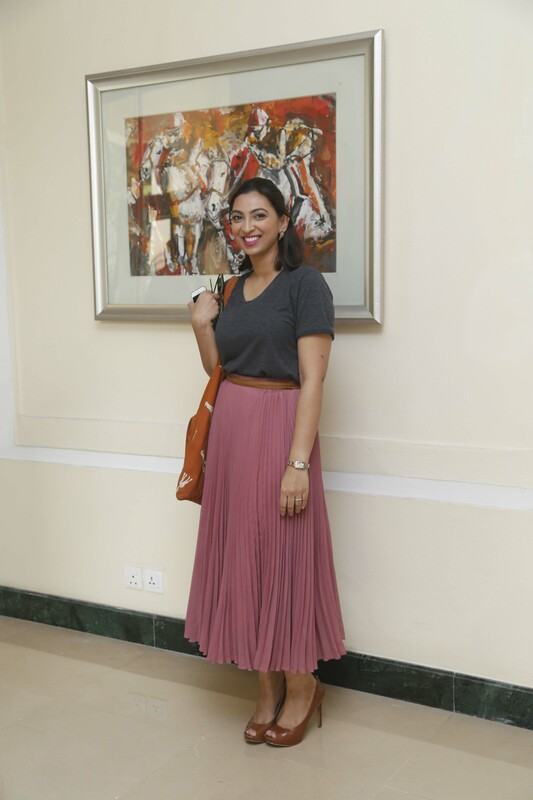 With a killer walk, fantastic posture and decent shoes always, Amna Babar stands taller than most. Instantly recognizable on the ramp and one of the favourite ‘first face’ for most designers she makes our Rockstar list. As a blog we know the difference between events covered by Faisal Farooqui and the team at Dragonfly and the ones that aren’t. 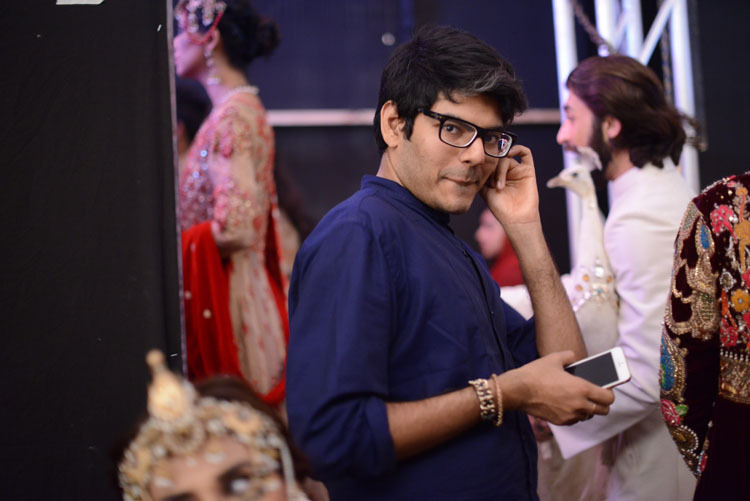 He makes bad look good and good even better, be it ramp images or backstage photography or general event coverage, Faisal’s and his team have mastered comprehensive coverage. Because there is music in her being, because she can give the most memorable performances that trump any ‘showstoppers’. 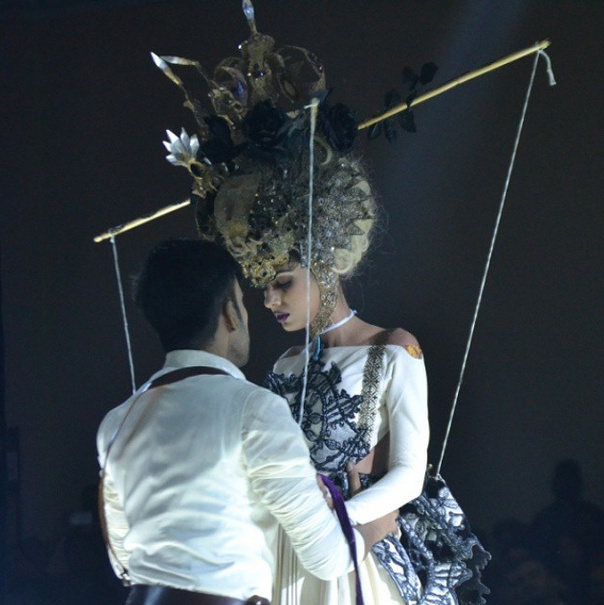 She did it at the House of Kamiar Rokni show at PLBW2013 and she did it again for Fahad Hussayn this year. Despite being well established names themselves, we have our eyes on them for this picture. In a world full of insecurities, if this isn’t a rockstar image nothing is. 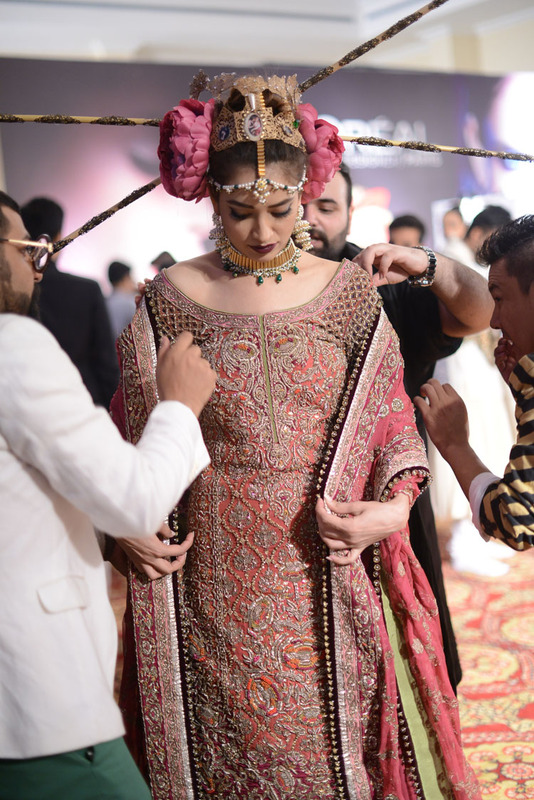 Ali Xeeshan and Mohsin Ali help Fahad Hussayn prior to his show. 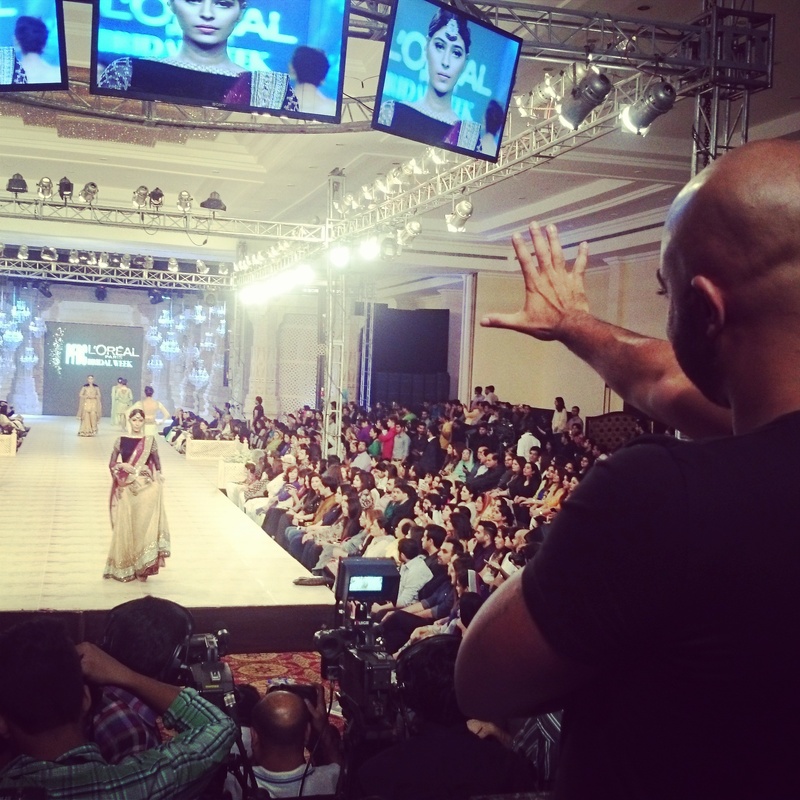 Mahgul has become a recognized brand in a very short while. With such stylish patrons we will be looking forward to where this girl is taking her brand. 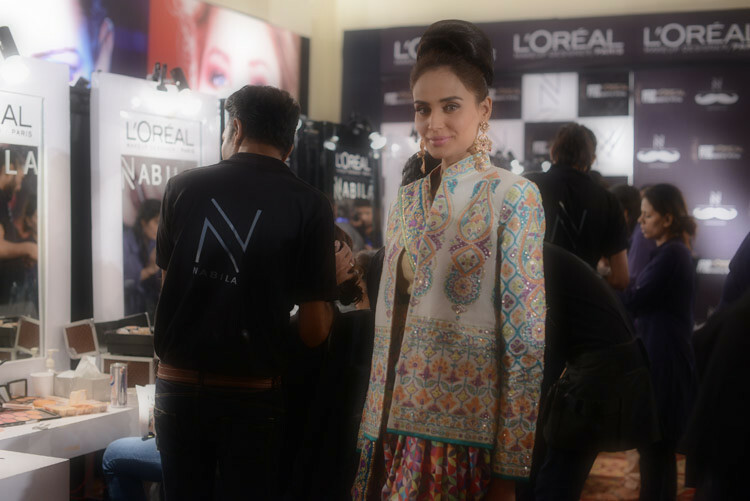 For flaunting the most stylish Posse backstage, and earning their loyal following, Mahgul is a rockstar. Who would think these three hotties are managing stellar modelling careers and mamahood with equal ease. Mehreen, Fia and Cybil all inspire us to be everything we can possibly be and that is nothing short of being a rockstar! 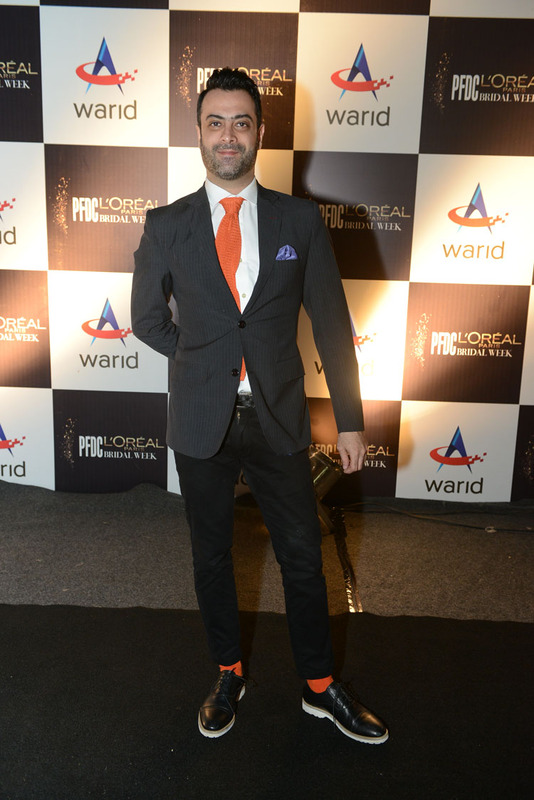 He is the go to space designer in Lahore currently. He’s young, energetic and honestly a whole lot of fun! 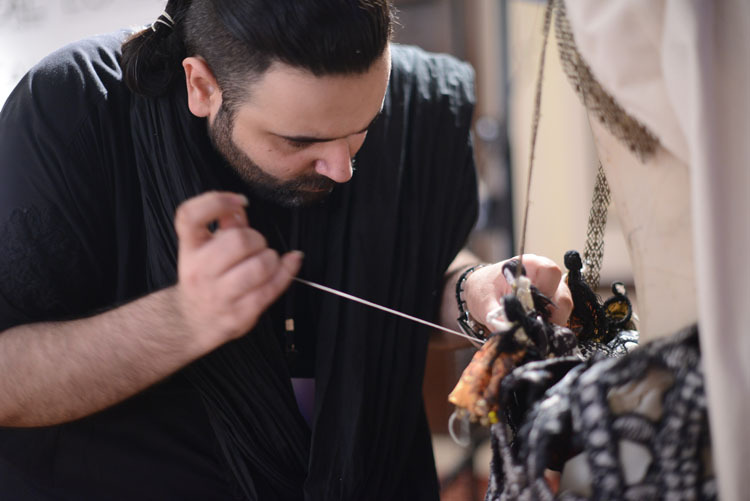 Having designed some memorable fashion retail spaces such as the Nida Azwer store in Lahore, Yousaf is an interesting addition to the fashion world. He dares red carpet in ways no one else does! Because it is an absolute delight to see a designer so meticulous and dedicated to detail. Because every little crystal on her super bling bridals seems to be in place, because whether it is your style or not, undoubtedly her fittings are the best. For one sparkling debut, Ammara Khan is a rockstar! 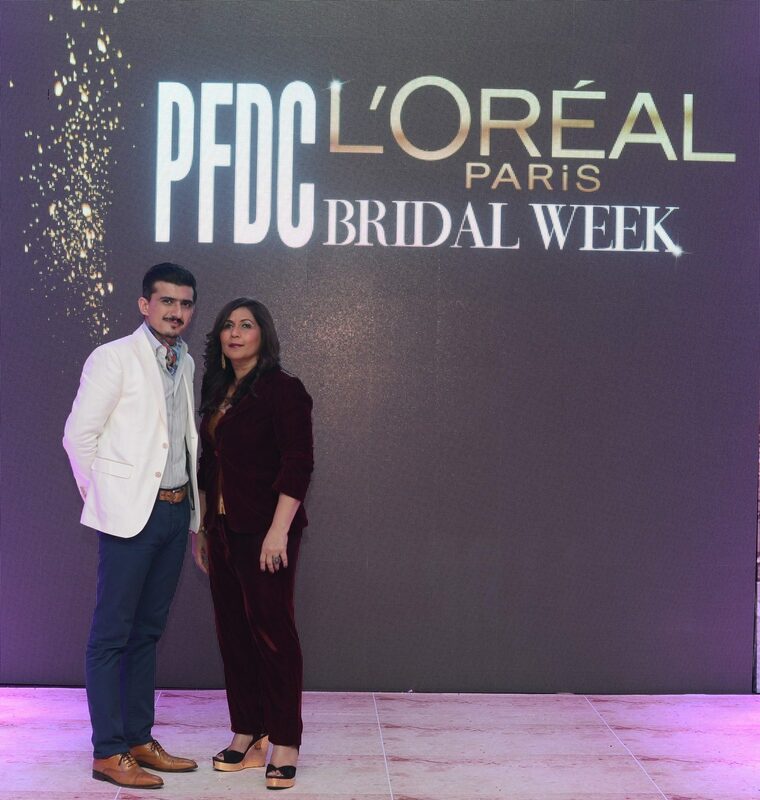 Saad Zaidi of Eleventh Retail is PFDC’s official operations and logistics partner for the event. Not only does he manage things well and he dresses the part. He and his team were on their feet constantly for three days in a row. Some people don’t need three chances, they make an entry and make it memorable. Our favourite fashionistas are the Red Carpet rockstars everyone should learn a thing or two from. 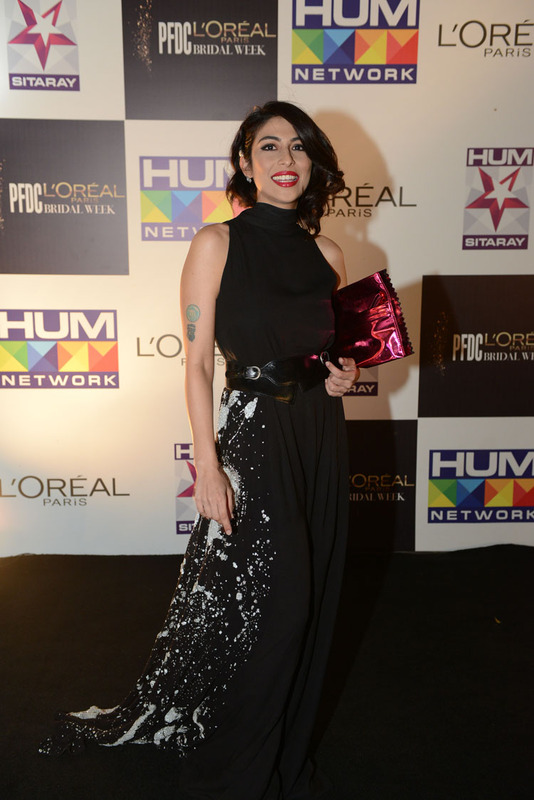 Be it Sanam Taseer, Jania Bhatti, Ayesha Noon, Haiya Bokhari, Kamiar Rokni or Meesha Shafi, they almost never get it wrong on the Red Carpet. Because anyone who can carry a stuffed peacock and work those glasses is a rockstar. No explanations needed. Because this is their sport and you can’t beat them on home ground. Whether the captain is in the field or not, Team Lotus is a pro at managing events of this scale. 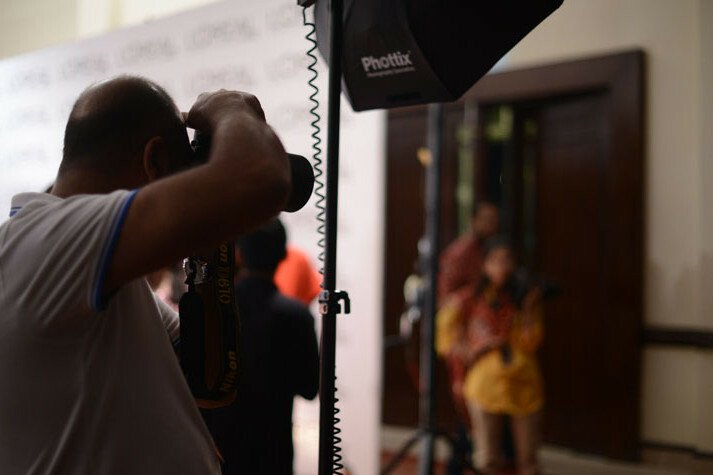 Our very own Khoji, who in addition to managing the Nabila Salons, also looks after PR for Nabila AND is her right hand man at such events. Despite being super busy he run his fab insta account giving us the insiders perspective! Because we absolutely love it when a corporate entity sponsors events that promote fashion, art and culture. Because these guys were on ground, on their feet and because this week was so much better than the last and with each fashion week it keeps getting better and better. Photos Courtesy: Faisal Farooqui and Dragonfly.